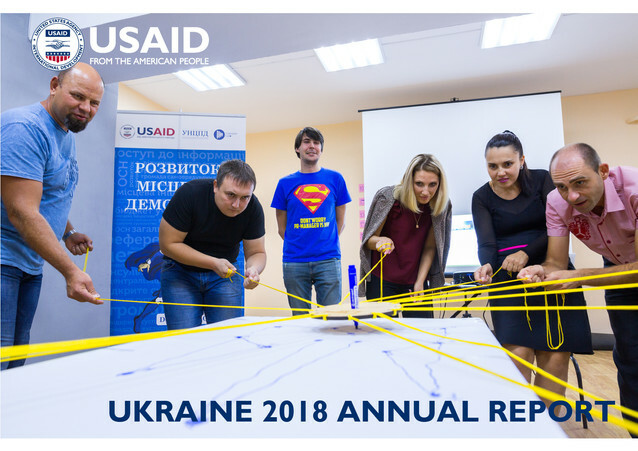 In 2018, USAID/Ukraine continued partnering with the Government of Ukraine, the private sector, and civil society to stem corruption, deepen democracy, stimulate inclusive economic growth, and improve the health of Ukrainians. USAID also introduced a new global development approach, which prioritizes supporting host country partners to become self-reliant and empowered to lead their own development journeys. The Journey to Self-Reliance, as we call the new development model, will work to improve the ability of the host country to plan, finance, and implement solutions to its own development challenges. USAID is proud of its efforts in partnership with the Government of Ukraine and civil society. We are committed to continuing support for reforms and helping Ukrainians attain the prosperity they desire and deserve. The full Annual Report is available here. USAID’s Support for Anti-Corruption Champion Institutions (SACCI) and its Enhance Non-governmental Actors and Grassroots Engagements (ENGAGE ) activities combined forces on a nationwide awareness-raising, anti-corruption campaign, entitled Be a Good Steward of Your Money. The effort is centered on three public service videos, produced to stimulate public thinking on the ways that government funds are disbursed. The scripts demonstrate how seemingly innocuous everyday individual decisions may allow corruption, and they encourage users to make responsible choices. Since early December, more than 4.7 million viewers watched the videos on You Tube and more than 70,000 internet users visited the campaign website. Expanding on this initial success, in January, four major Ukrainian television stations -- Channel 24, Noviy Kanal, STB, and ICTV -- agreed to broadcast the videos as public service announcements. The links to the 3 videos are here: healthcare, military, kindergarten. USAID SACCI is implemented by Management Systems International, while USAID ENGAGE is implemented by Pact, Inc.
On January 28, USAID’s Ukraine Responsive and Accountable Politics Program (U-RAP), implemented by the International Foundation for Electoral Systems, signed cooperation protocols with 12 additional universities to establish USAID-supported civic education courses, entitled Democracy: From Theory To Practice, which will be taught in the 2019/2020 academic year. The courses were originally piloted in 2018 at eight universities located in Kharkiv, Lviv, Kyiv, Ternopil, and Vinnytsia. The primary objective of these interactive courses is to equip young citizens and teachers with the basic knowledge and skills essential for effective democratic citizenship. The courses address effective democratic governance and the importance of rule of law, human rights, civil society, and citizen engagement, while also touching on gender equality, minority rights, media literacy, digital participation, diversity, the role of money in politics, the role of youth, and corruption. 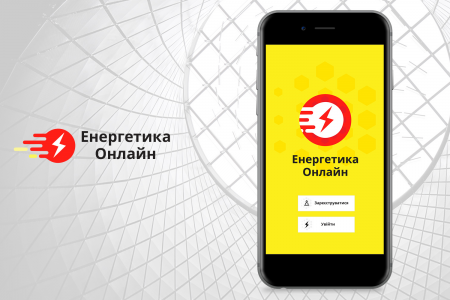 On February 21, USAID and the National Energy and Utilities Regulatory Commission (NEURC) launched the Energy Online mobile app, which enables easier customer engagement and promotes service transparency and accountability. Energy Online was developed under USAID’s Transparent Energy activity, implemented by the DiXi Group. The app allows customers to see details of tariff structures, verify their bills, file complaints for poorly delivered services, rate service providers, and review service provider investment programs. The app is readily available for download from Google Play and will be soon available from the Apple App Store. 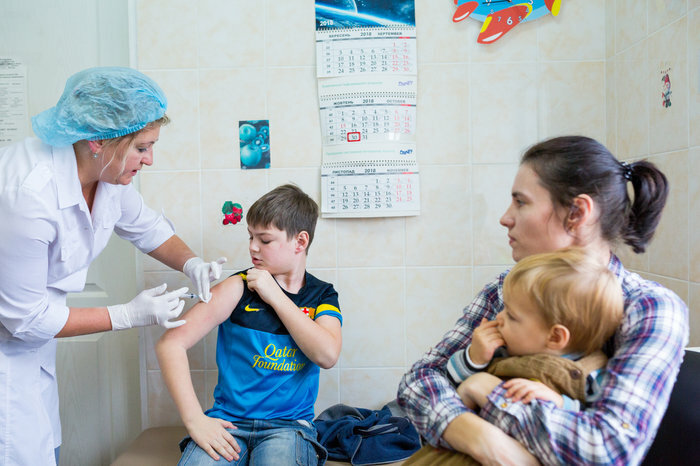 On February 18, national and oblast health authorities launched an information campaign to vaccinate children, with support from USAID’s Fighting Vaccine Misinformation activity, implemented by UNICEF. The USAID activity facilitated meetings with local decision-makers and influencers, among them parents, school directors, business leaders, and religious leaders, to address pervasive misinformation about vaccinations that are preventing children from being vaccinated. They also conducted workshops for media representatives on the importance of disseminating accurate information. Two months into 2019, measles has already infected more than 20,000 people in Ukraine, killing eight. The campaign began in Lviv, which has the nation’s highest rate of measles infection, with up to 50,000 children unvaccinated due to parental distrust of the measles vaccine. On February 14, USAID’s Health Reform Support activity, implemented by Deloitte, completed a training session for 26 primary health care centers located in the eastern oblasts of Dnipropetrovsk, Luhansk, and Zaporizhzhia. The sessions provided centers with insights into how best to plan and manage funding after last year’s “money follows the patient” reforms, which the Ministry of Health introduced with USAID support. 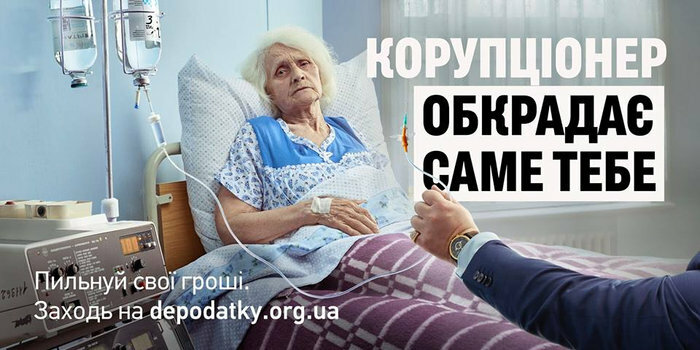 Under the system, newly-established primary health care centers now receive funding from the National Health Service of Ukraine based on the number of patients served, and managers now have the flexibility to reward healthcare professionals based on the quality and efficiency of their work. Managers can now also plan and procure supplies and equipment in response to their patients’ needs. Nearly 3,000 young civic and business leaders came together in Kharkiv the weekend of February 9-10 for the conference portion of the USAID-supported Third annual Plan B social innovation festival. Participants discussed new ideas and approaches regarding urbanism, anti-corruption, and culture. For the first time, Plan B also hosted a project “boot camp,” which produced 20 ideas for innovative community development projects in Kharkiv, Donetsk, and Luhansk. 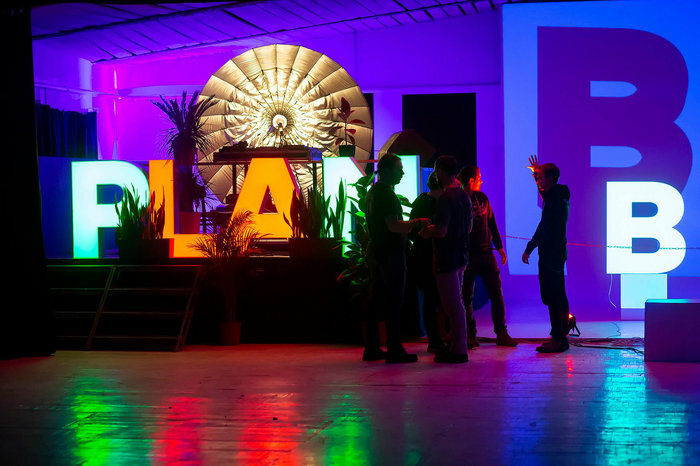 This was the largest Plan B festival yet, with thousands more attending an accompanying series of concerts and art exhibitions. The event was popular on Facebook, Instagram, and among media in Kharkiv. The festival is an example of the determination, drive, and strength of a community of young leaders that are working to create a reformed, European-minded Ukraine in the east. USAID is requesting input for the design of a new project addressing the cyber security of critical infrastructure in Ukraine. Cyber security is a national security priority for governments around the world, and Ukraine is on the front lines of a new hybrid war, largely waged in cyberspace. USAID activities will be co-designed with potential partners, co-investors, and experts. If you are interested in joining a team of thought leaders to devise innovative new strategies to help Ukraine ward off cyber attacks, please review our solicitation here, and share with interested counterparts. Initial expressions of interest are due April 8th, and activities will be co-designed over the coming months.